A unique showpiece, exquisite in every detail! 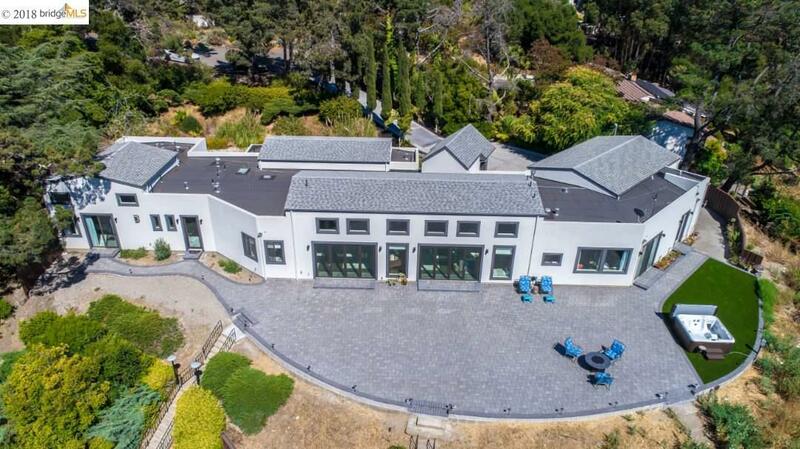 This stunning custom home is nestled high on a bluff of Chabot Park with captivating views of cities, bay waters, and mountainsides. Completely rebuilt in 2018, this 4 bedroom, 4+ bathroom, 4,954 sqft home (including 594 sqft garage) is nestled on a quiet acre cul-de-sac lot. Includes 17' ceilings and luxurious materials used throughout its beautiful designed open floorplan, a chef's kitchen with stainless high-end appliances, 3 en suites (including master), additional versatile rooms, 3 car garage and workshop, pool and cabana, sprawling outside space and much more! Contact us for a private showing today!